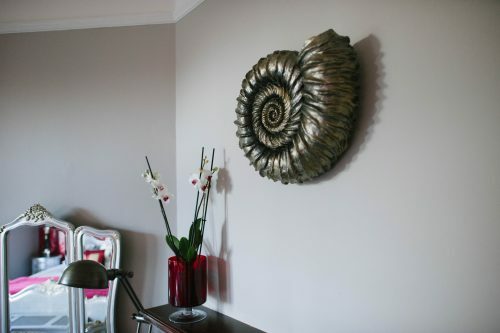 This large suite is named after the famous early nineteenth century local fossilist, Mary Anning, played by Kate Winslet in the new feature film “Ammonite”. There are two separate rooms in this suite. 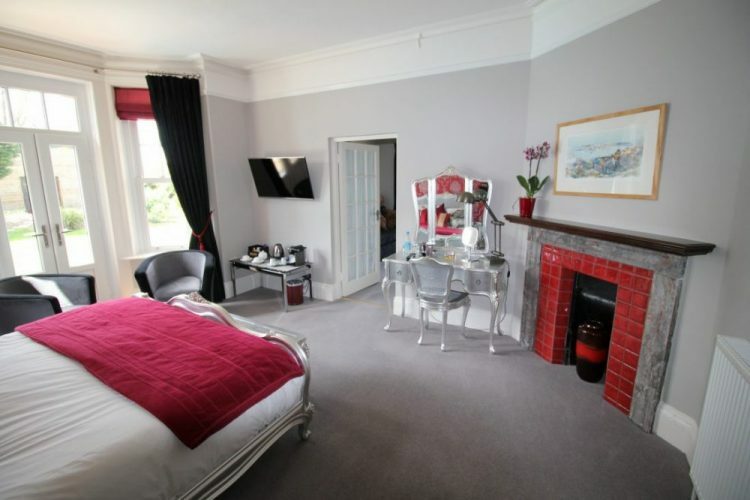 The bedroom has both a feature super king bed and fireplace. 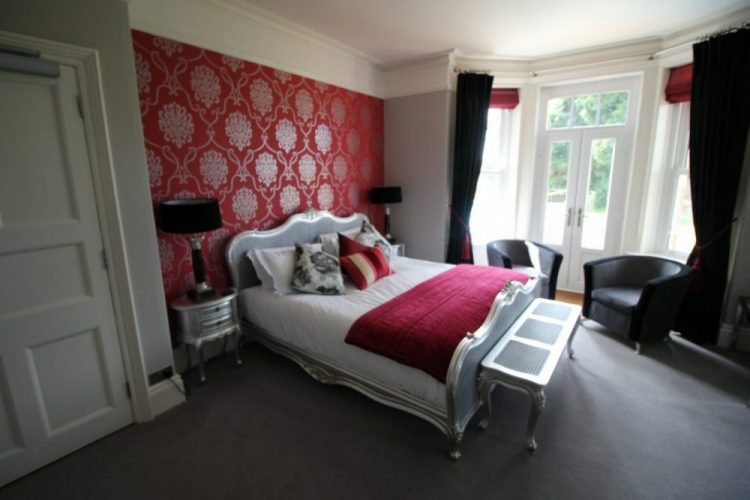 It also has French doors opening to the garden next to the outside heated swimming pool. Outside there is a quarry tiled terrace with coffee table and chairs. 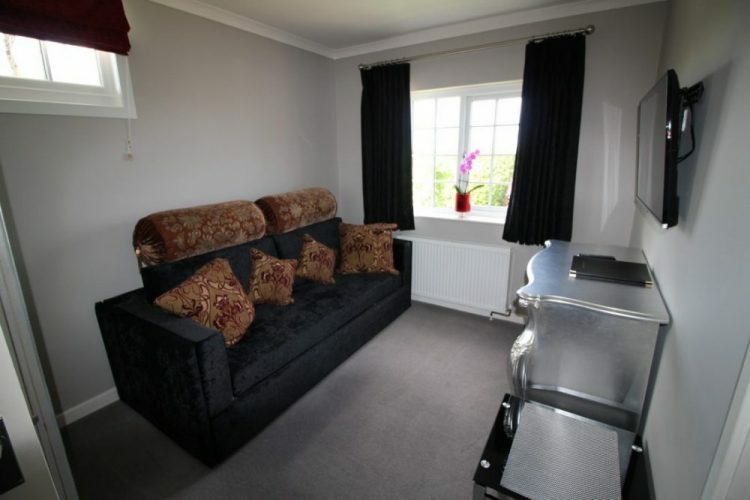 The sitting room has a state of the art sofa that converts into two bunk beds if required. There is also a second television. 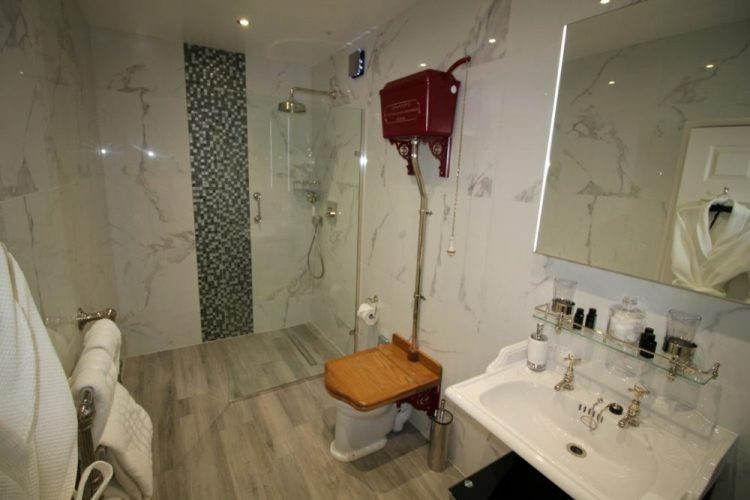 The en-suite has a large walk in shower with grab bar and Thomas Crapper fittings and sanitary ware. 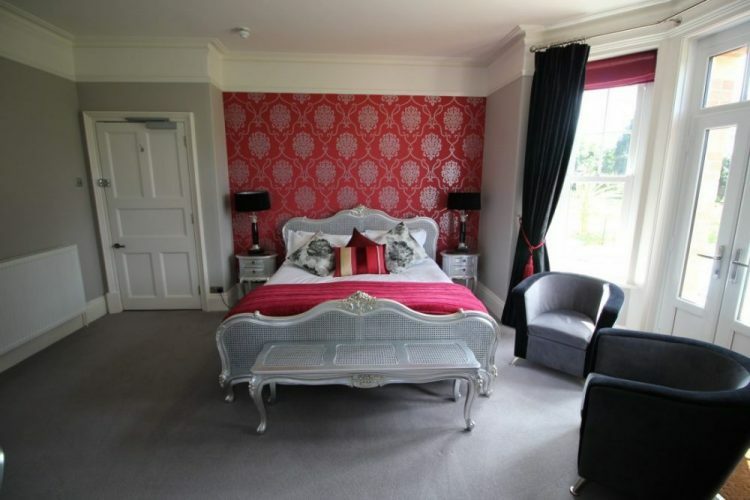 "Wonderful place rooms spectacular food best we’ve eaten in years, totally recommend staying here"